As a lawyer, how do I apply for an Australian skills visa? If you’re looking to move to Australia, and want to continue working as a lawyer once you’ve arrived, there are several steps you’ll need to take before you can practice in Australia. For starters, you’ll need to be admitted as an Australian lawyer before you can apply for your visa. You need to have your South African legal qualification assessed by the Legal Profession Admission Board of the Australian State or Territory where you intend to live and practice law. If you aren’t sure where you want to live, don’t stress. Australia’s mutual recognition laws allow you to practice in any Australian State or Territory, as long as you register as a lawyer in that State. When assessing your application, the Board will take into account factors such as; the nature, length and age of your qualification; subjects studied, and marks you received in your qualification. If you didn’t study the Australian Prescribed Subjects as part of your South African law degree, including Administrative Law, Equity (including Trusts), Constitutional Law and Property Law, you will be required to complete these subjects at an Australian University. Many Australian Universities offer online study modes, so you can complete your academic subjects while still in South Africa. Once your academic studies are complete, you can have your Practical Legal Training (PLT) assessed. The Legal Profession Admission Board will assess both your PLT and your general experience in practising law in South Africa. After considering your practical legal training (PLT) and experience, The Board’s Practical Training Exemptions Sub-Committee will determine what additional PLT understanding and competence, if any, you must acquire in order to meet the PLT requirements for admission. For example, if you’re an Advocate, you can expect to be required to complete trust accounting and ethics. All lawyers who aren’t registered South African conveyancers are generally required to complete property. The Board will also take into consideration whether you have a sufficient knowledge of written and spoken English to engage in legal practice. You’ll need to show that you can meet a certain standard of English proficiency. For lawyers, the minimum scores for reading and listening are 7, writing is 8 and speaking is 7.5. The Legal Profession Admission Board will also conduct a National Police History Check, and other character checks, to satisfy itself that you are of good fame and character, and that it is appropriate that you be admitted as an Australian lawyer. I have been admitted in Australia: where to from here? Once you have received your assessment results, you can start the process of applying for your skilled visa. You’ll need to submit various documents to the Australian government and lodge an Expression of Interest, to let the Australian government know that you're interested in obtaining a skilled visa. 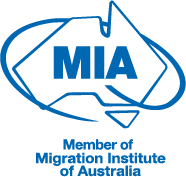 Once you have submitted your EOI, the Australian government can invite you to apply for the visa. You then have 60 days from the date of the invitation to lodge your visa application. Newer PostHow do I apply for a skills visa as an accountant? Older PostHow does an Australian business visa work? What is required?